WARNING! Kids’ Skills is a radical book! It might just change forever your views about parenting, teaching, and what constitutes a child’s ‘problems’. So nab this book which is buzzing with ideas, stories and suggestions. Be prepared for refreshing and fun ways that children can adults can come together to convert problems into skills! An e-book version of this product is available through Myconnect (Campion Books). For more information click here. Downloadable PDF – Kids’ Skills Skills Book A pamphlet-style workbook for children. Designed as a companion resource for parents and teachers using the Kids’ Skills method, the workbook steps children through the process of developing, practising and celebrating their new skill. 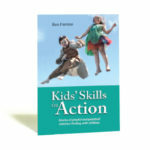 Kids’ Skills In Action – A collection of stories where Kid’s Skills approach has been applied. George Strong, ‘Book review: Kids’ Skills: Playful and Practical Solution-Finding With Children,’ Australian and New Zealand Journal of Family Therapy, vol. 28, no. 1 (2007), p. 56. Ben Furman has written a wonderful book. I have long been convinced of the value of family therapy in working with students displaying difficult behaviours. Family therapy adds a value to interventions with troubled and/or troubling students that is absent from the usual system response. After 15 years teaching, and 27 as a school counsellor, 17 of those with family therapy training, I wish Ben had written his book sooner. My years of experience working with children and young people taught me much, most of all the importance of playfulness. Playfulness is a way of helping individuals come to terms with the responsibility of finding their own solutions, while providing a useful guide. When one is cast in the role of that guide, it is useful to have at one’s disposal a variety of strategies that can be accessed as needed. Kids’ Skills adds to this armoury of intervention strategies. We all know it isn’t always possible to have everyone in the room at the same time, and that family therapy strategies can help children consider other persons in their thinking. With Kids’ Skills, the support of significant others is a key ingredient. It is a wonderful thing for children to hear positive comments from significant adults about themselves, their abilities and their potential. When the adult makes these comments not directly to the child concerned, but to another significant adult, say a visiting Kids’ Skills consultant, the comments possess even greater power. ‘Earshotting’ as I have known this practice to be called, can have a powerful influence on children’s behaviour. It can help children live up to the comment, develop positive self-belief, and turn it into action. Kids’ Skills takes this and a number of other strategies and combines them into its own unique approach. I love the fact that Furman’s is a ‘no blame’ approach, thus lowering resistance, or bypassing it entirely. I love the fact that he involves the child in his/her own solution, by negotiation. I love that he allows the adult to take the negative position, expressing thoughts about the difficulties of a chosen course, enabling the child to be the one arguing for success—how motivating! Kids’ Skills incorporates celebration as an integral component of its process and the prospect of celebration provides a positive goal. Kids’ Skills can only be appealing to those working with children. In its use of adult supporters and the no blame approach, it is similar in many respects to the Wraparound approach developed in Vermont, USA. The advantages of no blame are obvious. From being the target of recrimination, children move to being active participants in problem solving collaboration with those employed to help, and with those significant adults helping because of family connection and a mutual interest in discontinuation of the problem. The book is interesting and easy to read. Particularly appealing is the section on real cases (pp. 90–125), where the reader can see Kids’ Skills in action. I cannot fault the strategies in this approach—turn ‘don’ts’ into ‘do’s’; replace a bad habit with an incompatible ‘good’ habit. Kids’ Skills is full of positive trickery. It is capable of redefining relationships, and when relationships have broken down then it brings a wonderfully releasing energy. The cases described in pages 90–125 demonstrate that this approach is a robust one that can be used with a wide range of difficult and seemingly intractable problems. I am confident that any adult reading Kids’ Skills could implement it effectively if they chose. In the hands of even a halfway competent teacher or therapist, it could be an invaluable tool. If you work with children, it should be on your shelf. The I Can Do It program was originally inspired by the highly successful Kids’ Skills method created by Finnish psychologist, Ben Furman. Kids’ Skills is a 15-step method for engaging with children in fun and practical ways to convert ‘problems’ into skills to be learned. The English language version of the book Kids’ Skills was published by Innovative Resources in August 2004. With kind permission from Ben, the Family Support Service of Lady Gowrie Tasmania began adapting the Kids’ Skills program in early March 2004 to more easily accommodate the needs of children living in Australia and particularly to a younger age group of children who were described as having ‘aggressive and anti-social’ behaviour. A surprisingly large number of these children have been diagnosed with Attention Deficit Hyperactive Disorder (ADHD). The I Can Do It program largely focuses on involving children through complete participation in the program. For instance, children are encouraged to draw pictures in their book and photos are taken of the children practising their skill. As one of the 15 steps in the original Kids’ Skills method children are invited to select a ‘power creature’ to support them in learning their skill. As many childcare centres in Tasmania actively discourage children playing a superhero character, the concept of using native Australian animals as special or super animals to empower children was developed and incorporated into the program. In choosing a native Australian animal from the bag of animals the child is able to interact directly with the animal which best represents how they are feeling at that time and aids them in externalising their feelings. The party pack is used regularly to celebrate the success of children learning their new skill. The I Can Do It program is used in conjunction with a number of card packs from St Luke’s Innovative Resources, for example, I Can Monsters [republished as Can-Do Dinosaurs] and Strength Cards have been used very successfully cross-culturally with a number of Sudanese children. The Family Support Service of Lady Gowrie Tasmania uses a solution-focused approach when working with families and has found that the success of the I Can Do It program lies in the basic assumption that children and their families have the strengths and resources to come up with highly creative solutions to their own problems. Children want to know that they have skills. They are keen to explore their own learning if we give them the chance. The solution-focused approach that I have been using for over a decade is based on Ben Furman’s Kids’ Skills. Many years ago I was talking to a group of primary school children and raised the subject of class behaviour. “I hate that word” one boy volunteered with a voice filled with venom. I asked him to tell me more and he said that the word means “naughty”, “punish”, “trouble” and that if we were going to talk about “behaviour” he wanted to leave right now! I have never forgotten that boy’s assertion. To us psychologists, “behaviour” is everything that we do: social behaviour; sleeping behaviour; exploratory behaviour and so on. To others, particularly those in a school setting, “behaviour” is a shorthand way of alluding to everything that goes wrong in communication and relationships, and carries with it a barrow-load of negative connotations. For example, a School Behaviour Policy usually describes what happens to students when they make mistakes and things go wrong. If a teacher invites parents in to talk about their son’s “behaviour” you can bet that they are going to hear some unwelcome news. In the past couple of years, I have found that youngsters have a good grasp of the language of Skill. This is not due to the diligence of their teachers involving them in devising learning plans, but rather the growing popularity of on-line gaming. Games such as Lineage require the player to make decisions about which new skills to acquire, how to build on previously-learned skills, to select specialist abilities and reach Mastery Level on existing skills. Once a player is aware of the advantages to be had by mastering a new skill, he will put in many hours of practice to reach his target. The motivation students are putting into gaming, can be harnessed when they realise they have the power to make and implement a plan for almost any skill in life they wish to master. It was shortly after this “behaviour” discussion that I came across Kids’ Skills, a cooperative method for helping children overcome behavioral and emotional problems based on solution-focused psychology and developed by Psychiatrist Dr. Ben Furman and his colleagues in Finland. Allows the child with problems to convert them into skills they can learn. Lets the child participate fully in the discussion about what skill he should learn and how. Encourages the child to explore the benefits for him and other people of him mastering the skill. Help the child recruit a number of supporters, adults as well as other children. Explores the child’s confidence and level of commitment to learning the new skill. Angela Gerraty, Book Review, Educating Young Children: Learning and Teaching in the Early Childhood Years, vol. 15, no. 3, Summer 2009, p. 53. Recently the organisation that I work for, Lighthouse Resources, came across a model that offers a new way at looking at children’s problems. This model originates from Finland and has been devised by psychotherapist Dr Ben Furman. Dr Furman invites us to consider that practically all children’s problems can be seen as skills that need to be developed. Lighthouse Resources is the Australian Ambassador of this program. Based in Brisbane, Lighthouse Resources is the not-for-profit business enterprise of Kyabra Community Association. 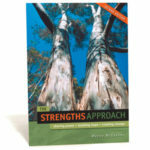 We provide strength-based training, consultancy and bookshop services for staff and their organisations in the human services area including early childhood education. When we came across the Kids’ Skills program, we saw a potential application within Australian early childhood centres. Anyone who works with children can follow the step-by-step Kids’ Skills program in order to master this way of working collaboratively with children and their families to learn, build and develop new skills and, at the same time, eliminate problems by focusing on solutions. 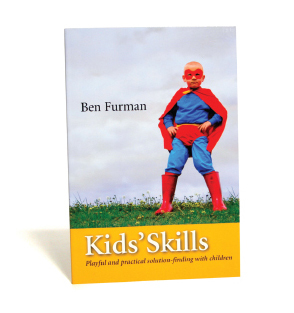 Ben Furman challenges us to shift our focus from a child’s problem and its causes to instead focus on a skill that each particular child needs to learn. The following examples illustrate the difference between the traditional methods of focusing on problems or deficits as compared to focusing on solutions – the Kids’ Skills way. If a child plays with food, the skill for her to learn is not to stop playing with food (focus on problem) but to eat properly (learning a new skill). If a class of pupils walk to library class in a noisy way the skill for them to learn is not to stop shoving one another in line (focus on problem) but to walk to library quietly (learning a new skill). The Kids’ Skills Program comprises of 15 simple steps showing us how to work alongside children to help them convert problems into skills. These practical steps are clearly described in both the Kids’ Skills book and can be supported by a Kids’ Skills booklet which provides an opportunity for a child to plan and record the progress of the skill.